Contract – Earnout clauses are included as a part of the sale/merger contracts. There is no specific language requirement and the terms of the earnout can vary drastically depending on the type of business, metric of measurement, and the preferences of the parties to the deal. The precise language of these provisions is extremely important and should generally only be drafted by an experienced corporate attorney. Purchase Price – Earnout provisions entitle the seller to a fixed percentage of the company’s profits over a set period of time. The amount of the sale price that is paid pursuant to the earnout clause varies with each deal negotiated. Portions of the purchase price paid this way can range from as little as 10% to 50% in a typical contract. Metrics – There is no set metric for how earnouts must be calculated. The parties must negotiate and agree upon certain targets for the company, such as revenue, net income or other performance metrics. The method of measurement can be a critical point of negotiation. For example, choosing net income as your metric may not account for the decision of post-sale management to invest in large capital expenditures, such as new equipment, which would skew the true value of the company. Timing – The earnout clause is limited by time, typically three to five years after the deal is closed. 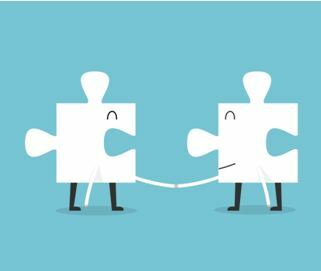 While earnouts can be beneficial tools in drafting mergers and acquisitions, they also have their pitfalls. After the sale, one party will be responsible for the management of the company. Making the purchase price variable with performance can create some conflicts of interest for whomever the managing party becomes. If the company continues to be managed by the seller, the seller may be tempted to minimize expenses or exaggerate profit in order to meet the terms of the earnout clause. If the buyer begins managing the company, the seller has lost control and may suffer a reduced purchase price based on mismanagement of the company and its assets. Before entering into a contract that contains an earnout provision, it is critical to weigh the relative advantages and disadvantages of this type of sale. If your business is involved in the merger or acquisition, contact a local Silicon Valley corporate attorney right away. Mergers and acquisitions are fraught with detailed decisions that could have significant and long term effects on your bottom line. The merger and acquisition attorneys at Structure Law Group, LLP have the experience needed to help address any legal issue that may arise during all phases of a merger or acquisition. Call us at 408-441-7500 or fill out our online contact form today.